Bundle up to spend time in this wintery update for CodeQuest! -NEW - CodeQuest has migrated for winter to your Mobile! 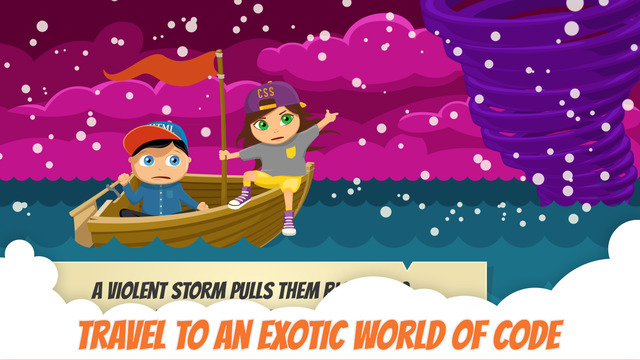 -NEW - a new magical freeze has overtaken over the CodeQuest Land of Website Adventures! -NEW - exciting interactive stories before certain levels to really submerge you into your quest to find the right code! -Buttons updated with color codes to help you in your quest for being found on the World Wide Web with your code snippets, or to escape the evil Hackbeard! -Several UI Improvements and Bug Fixes were made. -NEW - fun holiday characters to publish in your festive winter website (iPad Only)! Give your kids the Holiday gift of programming today! Perfect for Hour of Code. Kids join a wild adventure into the world of code, and learn how to interact with the basics of programming. While playing games they can learn over 100+ different code snippets and learn more about HTML and CSS! 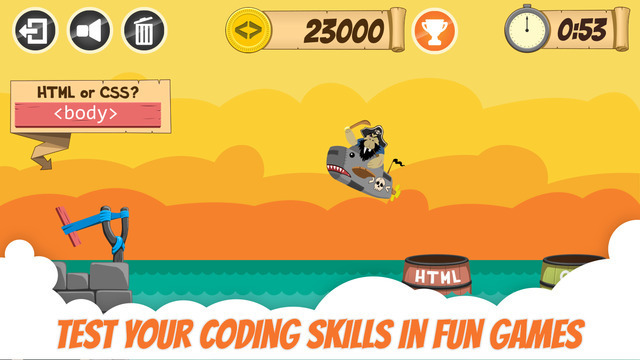 It’s time to get your kids busy with their technical skills and start the journey to becoming the Coding Ninja they are! 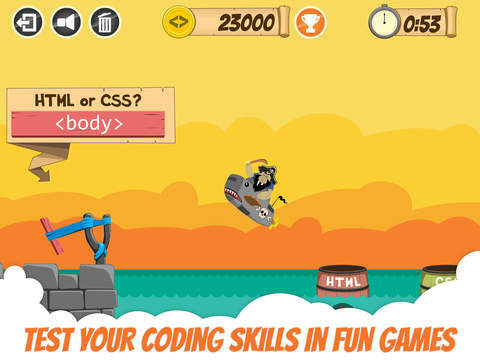 With CodeQuest they can create, build, and explore basic HTML and CSS. Within minutes they’ll be interacting with code as they have never done before. Who knew it could be so easy? With several mini-games hidden within CodeQuest, your children’s recognition and knowledge of code will be tested and tried whilst they’re having fun creating. They can compete with themselves and try and beat past scores. They are becoming a coding expert! Choose between different backgrounds, fonts, and fun lists (in the new enhanced iPad version) to populate their personalized and unique website. And if they want to make it extra-personalized they can choose photos from the camera roll or even take a photo of themselves! Especially proud of their website? Go ahead and publish it on our secure servers for just you and your family (you must be over 13 to use this feature). 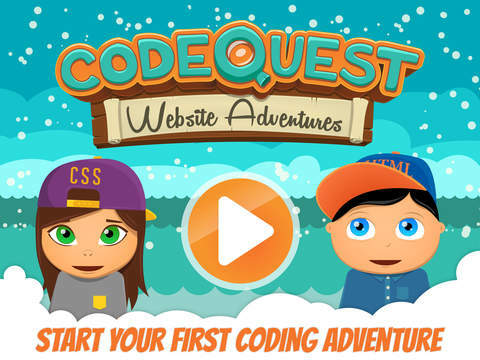 Build, learn, and share more amazing websites and perfect your familiarity of code with CodeQuest-Website Adventures. 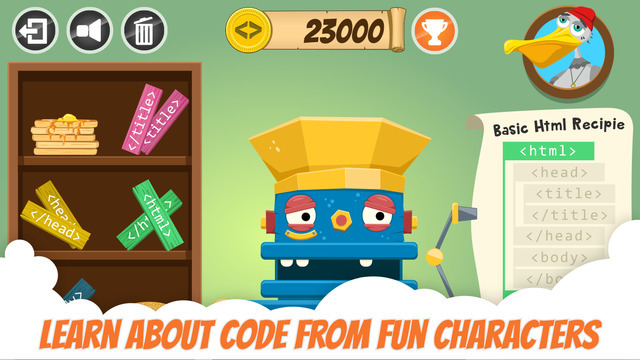 CodeQuest -Website Adventures enables children to harness their inner coder, and begin creating with code in a kid-friendly, and rich storytelling environment. CodeQuest is suitable for children ages 6 and up. Codarica is an award winning educational provider of digital content that helps children get their first introduction in to the world of code. We believe that by using magical storytelling children can learn anything whilst having fun whilst also learning the vital 21st century skill of coding. Combine that with fun games and a personal journey involving our playful characters and the possibilities for harbouring an amazing creative environment are endless. We believe that children should be able to play, learn and explore in a safe environment so therefore we do not show any third-party ads or have any in-app purchases. Codarica makes seriously fun games.